Hi there! Since 2010 I've been living out my dream performing music across Australia. 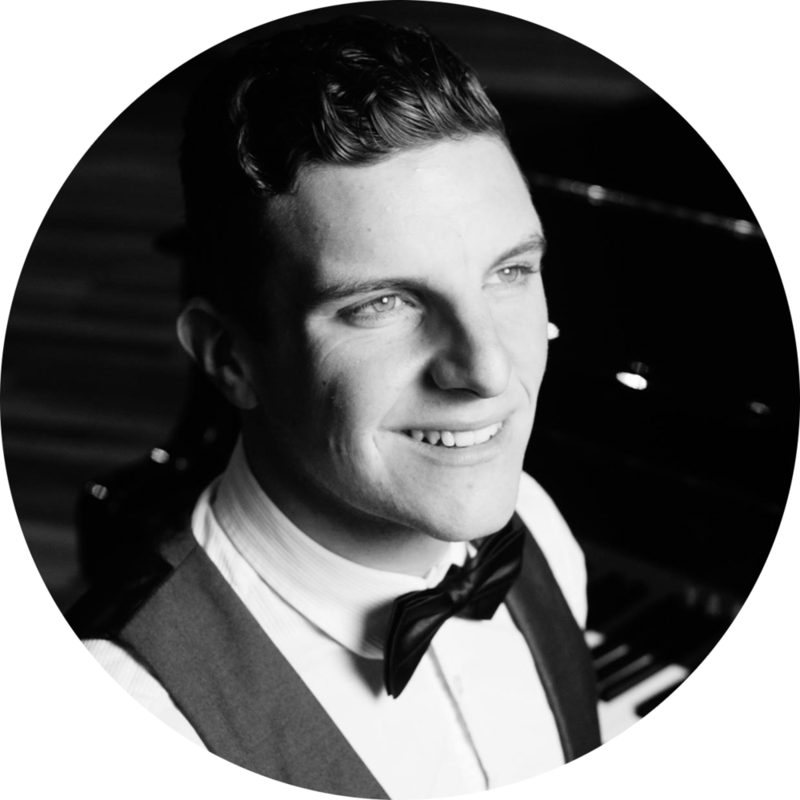 I've since fallen in love with the wedding scene and I now specialise at performing background music for wedding ceremonies and receptions in the Newcastle area. I sing and play a mix of jazz, pop and soul ballads on piano, keyboard and saxophone. I provide my own gear and I'm suited to performing both indoors and outdoors. I enjoy learning new songs and I'd love to work with you to assemble your personalised set list. I'm passionate about what I do and I'd love be part of your special day! You can reach me via email or through any of my social media pages. Click the button below to view my current repertoire of songs. I love learning new songs – I'll add your favourite songs and artists to your personalised set list. Jordan Geizer is a real talent. It's no accident that he's become the best known young photographer and filmmaker in Newcastle. Jordan is passionate about creating masterpiece photos and video clips for weddings, businesses and individuals. You can reach Jordan through his website. I've performed at some breathtaking wedding venues throughout my career. If you feel that I would be a good fit for your special occasion, please submit an enquiry using the form below and I'll get back to you as soon as possible!